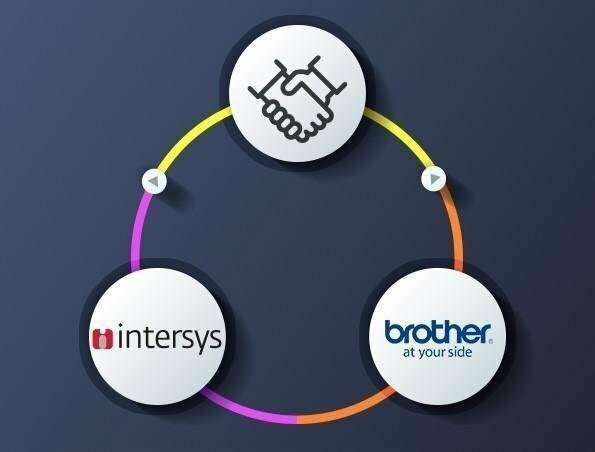 Intersys is pleased to announce announces it has partnered with Brother International Corporation. Intersys is now an official distributor of Brother in Greece for the sale of printing, scanning and labelling machines, as well as the provision of technical service and distribution of spare parts and supplies. Brother’s European market share is over 26% in the laser printer sector and is established as one of the “main players” at the provision of printing solutions globally. Intersys, on the other hand, is a leader in printing in Greece, especially in the Managed Print Solutions industry, and has the ability to establish Brother in the Greek market and employ the dynamic of Brother products at professional applications and home solutions. Brother, who has a long-standing tradition in combining supreme quality with low cost and continuous product innovation, links its path in Greece with Intersys who has a mission to provide simple, functional, beneficial technology designed based on each customer’s needs for more than five decades. These common characteristics between the brands were the driving force to form a strong collaboration. Tony Jackson , Managing Director of Brother Ireland said, “We are delighted to have secured this partnership with Intersys. We both share ambitions to develop the Brother brand in Greece”. Eleni Papandreou, the CEO of Intersys states.